Chances are you’ve heard the phrases that describe “heart problems”—heart disease, heart failure, heart attack, or even peripheral artery disease (PAD) and cardiovascular disease. What do they all mean? It helps to understand what cardiovascular disease (CVD) describes: Cardio refers to diseases of the heart, while vascular refers to conditions affecting the blood vessels, like arteries and veins. The circulation system consists of both the heart and blood vessels, and so anything that affects one part influences the other. CVD encompasses many heart and blood vessel conditions. The phrase heart disease typically refers to cardio conditions like coronary artery disease. Vascular diseases—which affect the veins and arteries as well as the capillaries and lymphatics (the small vessels that carry the fluid from cells back into the blood stream)—include arteriosclerosis and atherosclerosis, high blood pressure/hypertension, and PAD. We start our journey to heart health by learning about common heart diseases and heart events, such as heart attacks. Heart disease is a broad phrase that describes conditions that affect the heart’s valves, muscle, and coronary arteries and the sac around the heart. Each of these components plays a critical role in heart function—the valves make sure the blood is pumped in the right direction, the muscle pumps the blood the body needs, and the coronary arteries carry blood to the heart muscle. When functioning properly, this system is like a well-oiled machine. Heart disease is the wrench in the gears. Heart events let us know we’re in need of a serious tune up. Coronary artery disease – This refers to conditions that block blood flow in the arteries that supply the heart. The most common cause of this blockage is a condition called atherosclerosis, when the arterial walls thicken and stiffen due to the buildup of fatty deposits inside the arteries. Coronary heart disease – This describes coronary artery diseases and their complications, such as angina (pain related to the heart not getting enough oxygen) and heart attack (myocardial infarction). Cardiomyopathy – This encompasses diseases that affect the heart’s muscle. Some people are genetically disposed to these conditions; other causes are not clearly understood. One of the most common types of cardiomyopathy is idiopathic dilated cardiomyopathy, which is an enlarged and weak heart muscle for an undetermined reason. Valvular heart disease – This collective phrase refers to diseases that affect heart valves, which connect the four chambers of the heart and keep the blood flowing in the proper direction. Typical valve conditions include narrowing, leaking, or improper closing. 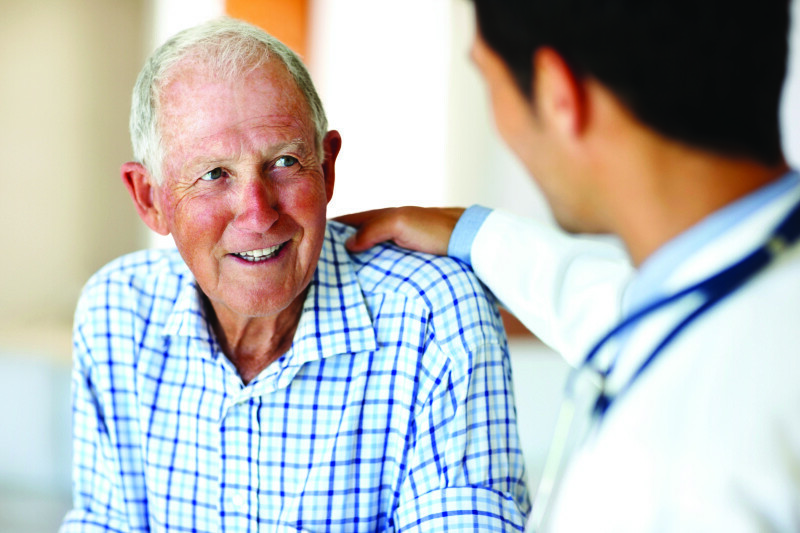 Valve damage can be genetic or show up later in life, stemming from causes like rheumatic fever, infection, connective tissue disorders, certain medications, or radiation treatments for cancer. 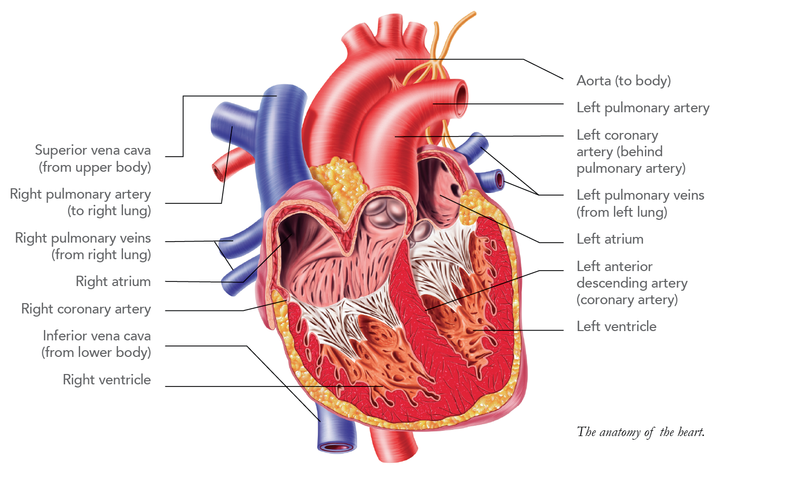 Congenital heart defects – These affect the growth and development of the heart’s muscle, chambers, or valves. These are heart defects present at birth. Pericardium conditions – The protective sac that surrounds the heart can also experience problems. Conditions of the pericardium include inflammation, collection of fluid, and stiffness. Each of these can occur alone or in combination with other conditions. The causes and effects of pericardial disease can vary. Deep vein thrombosis – This phrase describes the formation of a clot in a vein deep inside your body. This condition commonly occurs in the big veins in the lower legs and thighs.